It's time to partner with professionals! Landlords managing their own properties are often faced with the challenges of enforcing lease terms, collecting rent on time, or having to deal with the continuous repair requests from their tenants. Even more challenging still is staying in compliance with ever-changing health & safety codes and fair housing laws, that can leave even the most experienced property owners searching for help. GPM is here to help! Our property management team has the experience, knowledge, and the training needed to tackle those challenges and to effectively manage your rental property. Late or missing rent payments can have a negative effect on your cash flow. We have methods in place that allow us to quickly collect rents and send them directly into your account, fast. Rent Reminders. Toward the end of every month, friendly reminders are sent to tenants informing them of their rent due date. Online Rent Payments. We offer the option for residents to quickly and conveniently pay their rent online 24/7. With a variety of online payment options including eCheck, Credit Card, and Electronic Cash Payments, funds are deposited faster and more securely. Electronic Cash Payments. Tenants who usually pay in cash can conveniently pay their rent at CVS, 7-Eleven, and Ace Hardware locations. We maintain your rental property by being proactive. Regular inspections along with scheduled preventative maintenance help maximize the useful life of major components of your property, and avoid costly repairs in the future. Affordable Repairs. We don't mark-up invoices or do repairs through an in-house maintenance crew, which means we'll never recommend repairs which aren't necessary. Quality Vendors. We work with professionals who are licensed, insured, and accountable. If you have preferred vendors who know your property, we’re happy to work with them as well. Periodic Inspections. Property inspections allow us to determine if tenants are following the rules of their lease and bring to our attention unreported maintenance issues that need to be addressed. Finding the right tenant is important when it comes to the success of your rental property. We become personally involved in selecting a tenant that will enjoy living and maintaining their place of residence. Rental Preparation. Getting rental property ready means ensuring it’s safe, habitable, and appealing to potential tenants. We'll inspect your rental and make recommendations on repairs, correcting potential code violations, and suggest cost-effective renovations and upgrades that will allow you to collect maximum rent for your property. Robust Marketing. We post eye-catching vacancy advertisements to our website and dozens of top rental listing sites, creating maximum marketing exposure for your rental and attracting quality tenants. Renters these days expect to view property details online and quickly apply to rent, and we offer it. Tenant Screening. Potential tenants are subject to a complete screening process that includes checking backgrounds, credit, income and employment, as well as rental, criminal, and eviction history. 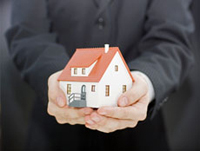 Reports are important tools used to analyze the performance of income generating property. All property owners receive a monthly statement showing the income and expenses for the month and a year-end statement showing the profit that the property has generated. However, GPM offers much more. Upon request, other financial reports can be provided on a monthly basis. These reports include the Cash Flow Report, Balance Sheet, General Ledger, Budget Report, and much more. Monthly Reporting. Each month, you'll receive an owner statement with detailed information about the income collected and the bills that were paid. Secure Online Access. GPM will provide you with a Secure Owner Portal where you'll be able to conveniently access financial reports, monthly statements, and other important documents at any time, from anywhere in the world. Financial Reports: GPM can include other financial reports, such as the Cash Flow Report, Balance Sheet, General Ledger, and others, along with your monthly statements.